Last minute offers on Krk apartments, villas and hotels. Book your accommodation in Krk now and get up to 30% discount. Krk Town is a harbor and holiday spot on the SW shore of Krk Island. The summer months are swamped with a wide array of activities. The town beaches are both stones and gravelled, and the sea is of top quality. The quality of the beaches is proven by the blue flag which has been there for 8 years. 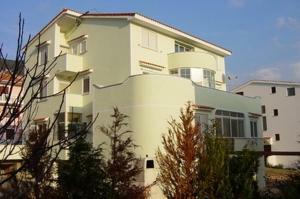 Krk is a strong tourist center in Kvarner and it has a big accommodation capacities. Available are small family hotels, pensions, luxury villas with pool and private holiday apartments which make the most of capacities in Krk Town. The Krk bridge enables buses to travel from numerous towns throughout Croatia (including everyday buses from/to Rijeka and Zagreb) to access the island. The Town of Krk is stuffed with taverns and restaurants where you will find refreshment: regardless if you go for a regional or an international food list, you will find it enjoyable without a doubt! Alternatively you can fly into Rijeka International airport close by, or simply drive a car across the bridge. Krk Town is a fortified even these days, with wall structures along its complete length. The town is entered via 4 doors and there are tiny and large streets, stopping when a detail draws in attention. The most significant monument in the town is definitely the spiritual complex of 3 churches with the cathedral which was constructed over the ruins of Roman thermae from the 5th century; Franciscan and Benedictine abbey with churches, historical locality Volsonis under the major town square and your individual research of details which will make Krk Town the wonderful spot you've been searching for. Finding late minute accommodation with Krk-Apartments could not be easier. If you can be adaptable with your dates and selection of location late minute vacation deals in Krk are a fantastic choice for you. Use our comparing tool to look around for inexpensive holidays that not only fit your preference but also your budget! 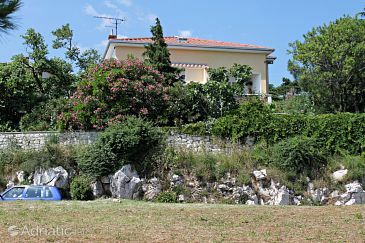 Apartment, 63 square meters town of Krk price per day from £ 42 Smaller but pleasant apartment in Krk, founded 700 m away from the beach is totally equipped and has a private parking. Entertainment and Outdoor activities: TV, Satellite television. 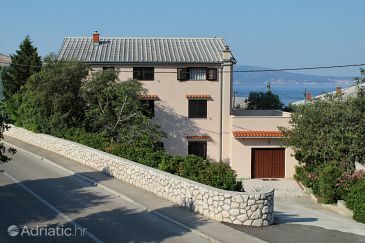 Distance to the beach: 700 m.
Cheap apartment, 83 square meters, close to the beach town of Krk price per day from € 66 Book accommodation outside the center of Krk and enjoy the perfect family vacation in one of the most famous seaside resorts in Kvarner. In addition to the spacious courtyard with an eye-catching garden and a private parking, this apartment provide you with comfortable interiors, fully equipped with modern conveniences. 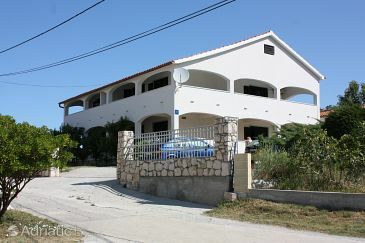 Distance to the marketplace: 130 m. Distance to the restaurant: 900 m. Distance to the beach: 1000 m. Entertainment and Outdoor activities: outdoor grill, Satellite television. Cheap accommodation, max 4 persons town of Krk price per day from € 64 You can enjoy in the sun and swimming in the natural clear sea, visiting many restaurants, theaters, exhibitions, historical monuments,churches, museums and galleries. Distance to the marketplace: 450 m. Distance to the beach: 450 m. Distance to the restaurant: 400 m. Entertainment and Outdoor activities: outdoor grill, Satellite television. 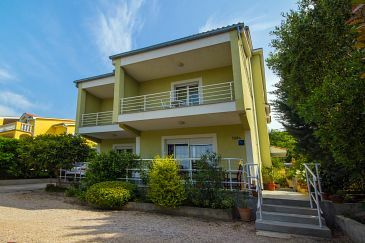 Apartments Lukacic town of Krk price per day from € 40 Apartments Lukacic is set 200 metres from the centre of Krk and the closest beach. It presents free internet access, free car parking and air-cooled apartments. All apartments comprise a furnished balcony or an outdoors terrace, a TV with satellite channels and a kitchenette with a dining area. Each unit has a private toilet with a shower. A grocery shop, bar and a dining establishment serving local and international meals are 50 metres away. A spa and wellness centre as well as tennis courts can be found at a distance of 300 metres. A local bus stop is 50 metres away, while Krk Bus Station is 600 metres away. 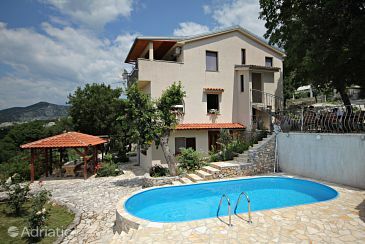 Apartments Jurina 2 town of Krk price per day from € 55 Apartments Jurina 2 is a self-catering accommodation situated in Krk. 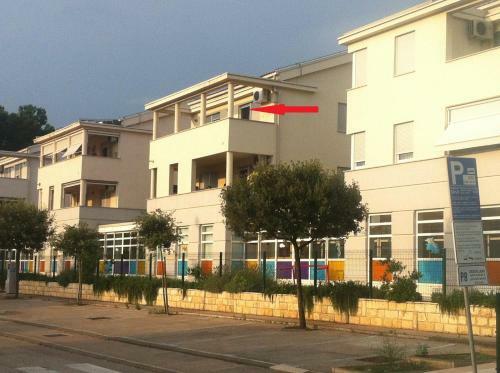 The property is 200 metres from a beach. All accommodation units will provide you with a lcd tv and air conditioning. Each presents either a kitchen or a kitchenette with a dining area, as well as a private toilet. At Apartments Jurina 2 you will find a back yard and an outdoors terrace with grill amenities. Towns of Stara Baška, Vrbnik and Malinska are within 12 km. 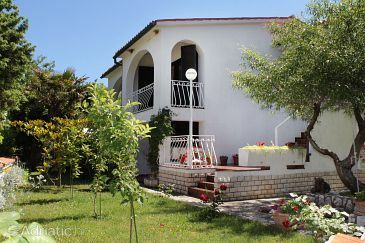 Accommodation, 23 GBP per day town of Krk price per day from £ 23 Pleasant and perfectly decorated house will be an ideal starting point for discovering Krk in the region of Kvarner. Entertainment and Outdoor activities: TV, Satellite television. 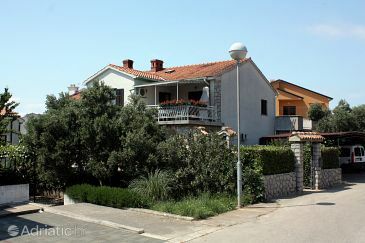 Apartment 21 square meters, close to the sea, Krk, Croatia town of Krk price per day from € 29 Apartment 21 square meters, close to the sea, Krk, Croatia. Distance to the beach: 850 m. Distance to the shopping center: 350 m. Distance to the restaurant: 400 m.
Boutique Hotel Placa town of Krk price per day from € 100 Positioned right in the historic centre of Krk, Boutique Hotel Placa is 300 metres from the closest beach. It presents air-cooled rooms with a flat-screen satellite tv and free internet access. 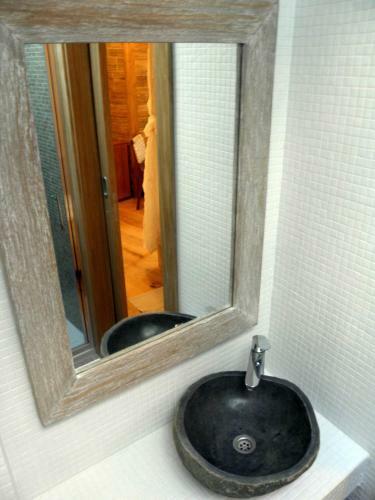 All rooms come with a seating area and a toilet with shower, hairdryer and free toiletries. Facilities include a radio and a minibar. Some units feature an outdoors terrace with sun loungers. Morning meal is served each morning at the not far away dining establishment. Various eating places and clubs can be enjoyed in the proximity. The nearest grocery store is 100 metres from the Boutique Hotel Placa. Inn Palace town of Krk price per day from € 40 Inn Castle. 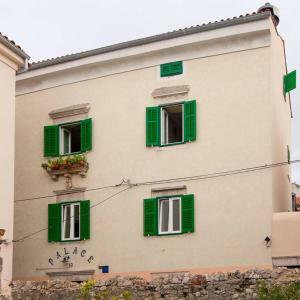 Villa Veglia town of Krk price per day from € 139 Please inform Vacation home Veglia in advance of your expected arrival time. You can use the Special Requests box when booking, or contact the property directly with the contact details provided in your confirmation.